Why is Safari 4.0 Crashing On Me? I tell everyone I meet who asks about my MacBook that I love it. Sure I’ve had some problems with the hardware replacing the fans, but other than that, nothing. The Software, OS X, Safari, and every other app I generally use on the Mac are stellar. I have never really had an issue, until now. I typically use Safari for my browsing needs. Firefox always seems sluggish and continues to be a memory hog (probably more due to the extensions I have installed than anything else). I just use it for the moderate amount of web development I do. So for the most part, I stick with Safari. However lately, I have noticed that it crashes quite often on me. I might have a handful of tabs open with GMail, Facebook, ESPN, and a few other pages going, but nothing crazy. That little annoying colored pinwheel pops up and then blam! Safari crashes, asking me to report a problem. I don’t remember this happening this often, if at all, with Safari 3.x. What has Apple changed? I’m hoping that Snow Leopard and any updates there might right the ship. But I won’t hold my breath. Is anyone else out there having similar issues with Safari 4.0? This entry was posted in Apple on August 16, 2009 by bill. I’ve had my 17″ MacBook Pro Core Duo for 2 years now and I don’t have a single bad thing to say about it. However, probably starting 6 months ago, the left fan started to make a lot of noise. It sounded like the bearings in the fan itself were going. What was worse was that even though the fan speed seemed to be set right compared to the right fan, the MacBook got really, really hot on the left side. I put up for it for quite a while, but I finally gave in and decided I needed to do something about it. 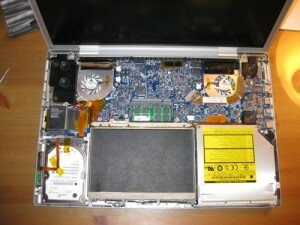 Generally I’m not sketched out by taking a computer apart, but my MacBook was a little different. I didn’t want to ruin the case or anything like that and I certainly didn’t want to fry and of the tiny components inside it. 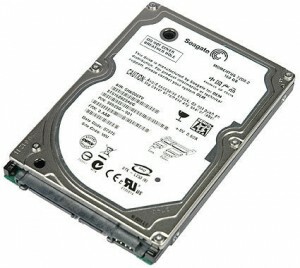 This computer is basically my life line to everything I do for development, both freelance and full time so I couldn’t afford to kill it as I don’t have a reliable backup for it (something I’m looking at resolving currently). So, even with the slight fear of messing up my MacBook, I trudged along. 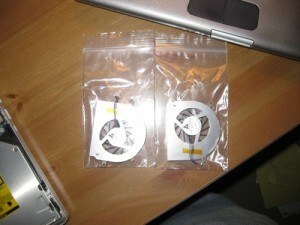 I bought my new fans for $39.95 each plus S&H over at ifixit.com. What was even better is they have two pretty good articles on replacing the fans in my MacBook. 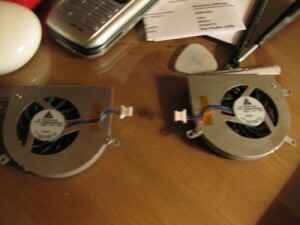 The left fan instructions are here and the right fan instructions are here. I was able to follow the right fan instructions to a T. The left fan ones were a little different for me. First, I had to remove the Airport card. That wasn’t too difficult as its held down by a torx screw. Also, the left speaker was actually screwed down in my MacBook. It didn’t appear to be in the one used in the guide as the instructions said to just lift it up. I couldn’t do that and was glad I saw the screw and didn’t force anything (that’d have been bad!). 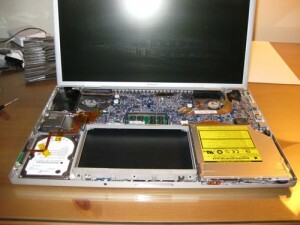 In all, it took about an hour to get the MacBook apart, the fans replaced, and the case put back together. I definitely took my time as I didn’t want to mess up and was very careful to not touch anything I didn’t have to inside the computer. 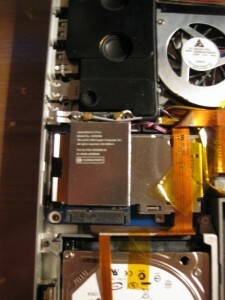 I’ve included some interesting photos I took as I did my repair, which are below. 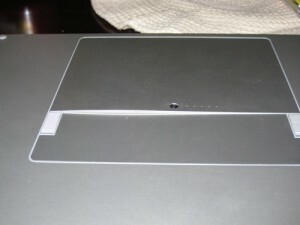 The one thing that I did, that I highly recommend, is that as you take the screws out of the case and other parts of the MacBook, that you put them on a white piece of paper and label them. Or, use some plastic baggies and do the same. A lot of the screws look the same and you definitely want them to go back in the proper place. 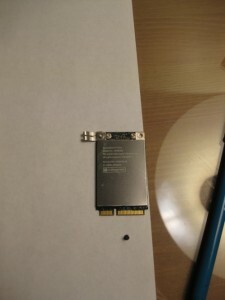 If you have fan trouble in your MacBook, I definitely think anyone that has some technical abilities can do this repair themselves instead of paying Apple or another Apple repair shop to do it for them. I’d imagine you’d pay over $100 plus the cost of parts to have them do it for you. 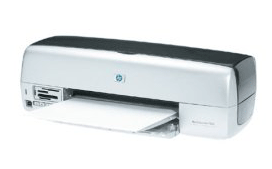 I have a HP Photosmart 7200 Series Ink Jet printer. It’s convenient that OS X has what seems to be every printer driver under the sun installed as part of its system so you can plug in almost every printer and have it work (except a stupid all-in-one Dell printer my fiancee has). So more times than not, as long as all of the cords are plugged in, my printer works the way I want it to. That was until today. The color cartridge in my printer is shot. Hardly any color comes out on the paper at all. Since I’m cheap, I haven’t gone out to the store to purchase a replacement yet. I needed to print a gift certificate from a web site for dinner tonight, but it wouldn’t print properly since the color cartridge was trying to print the parts of the document I really needed (a certificate # to be specific). Now, I understand this might be a little out of the norm, but I think it should be way easier to do this from the browser than going through all these steps. Maybe I missed something along the way, but this was the only way I could get black only printing to work. Hopefully this is helpful for someone else out there who’s having the same issue. This entry was posted in Apple on February 19, 2008 by bill. I just checked Software Update on my MacBook Pro and noticed that Leopard 10.5.2 is available (there’s also a post here on Digg). That made sense since it appeared the entire world was after it since it took about 5 minutes for Software Update to do its thing and check for all the available updates. The download comes in at a heafty 180MB. Not quite as big as I had heard in the various article I’d read about the developer seed downloads. Lets hope it fixes some of the lingering issues from the initial update. My biggest issue is that the Synergy screen sharing software doesn’t work (maybe some network issue) and with the desktop updating and some quirks with spaces. Anyway, my update is downloading as I write this and I’m anxious to have it installed to see what’s in here. This entry was posted in Apple on February 11, 2008 by bill. Apple TV Take 2 – No DVR? And it sells for just $229. Obviously Apple is positioning itself to sell content and a hardware device to potential non-mac users, much like they did with the iPod. Steve Jobs even said they got it wrong with Apple TV Take 1, as did all the other players in this market. But Steve, I think you guys are still missing one important feature. DVR! As far as I know (and I might be wrong here), you can’t DVR your shows from your TV to your Apple TV. Only take content from Apple TV and display it on my television. Integrating digital recording would make this a powerful device, one that I’d consider buying to replace the DVR from my cable company. Anyone out there aware of why this limitation is in place? 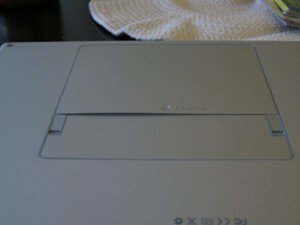 Is it a hardware issue with the footprint they put in place for the device? Are there licensing issues with the media moguls. Hopefully I can find some answers to these questions and post them here. This entry was posted in Apple on January 15, 2008 by bill. I had been putting of buying an iPod for quite some time now. The time just hadn’t come where I could justify spending the money when I wasn’t sure I was going to use it. But, I don’t have to wait any longer as I was a happy recipient of an 8GB Nano for Christmas! I’m really excited to have one now as its that time of year when its time to hit the gym (especially with a wedding coming up in 6 months). I’m also wondering if I’ll enjoy listening to it while mountain biking, though I’m wondering if that could be a tad dangerous. The Nano’s have come a long way since the original iPod Mini. Obviously they’ve gotten smaller and have a larger song capacity than ever, but even the interface has gotten better. I think my favorite feature so far is the integration of Cover Flow when browsing the Nano. 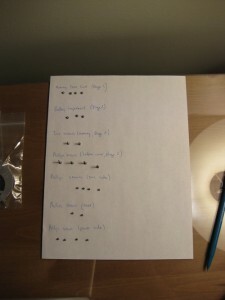 That’s how I browse my music in iTunes and being able to do that seamlessly on the Nano is key. 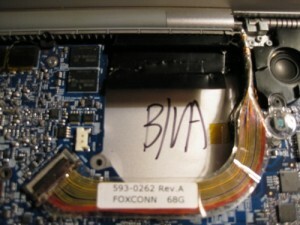 This entry was posted in Apple on December 25, 2007 by bill. Unless I’m on the move, I typically I have my MacBook Pro “docked” with an external keyboard, mouse, and display. This is a habit I picked up from Kyle plus that fact that the new MacBook Pro’s get really, really, REALLY hot. That being said, I’d like a new monitor for home. But one of the biggest annoyances when docking my MacBook is that now I’m sans iSight. Total crap. My request to Steve Jobs and the rest of Apple: Cinema Displays with built in iSight. Please. I’ve heard rumors of them forever and I’m almost expecting them next month at MacWorld. If they don’t come out I’m going to be totally bummed. Mostly because I can’t imagine this would be hard or costly for Apple to do. It also seems like the next logical step when refreshing the “pro” line like they did with the new iMac and its cool, sleek design. I’d buy another brand display, but really, nothing compares the the quality of the current Cinema Display in my opinion. Yeah, you can probably get more “bang for your buck” or whatever that means, but I’d prefer an Apple. So Steve, whadda ya say ‘ole chap? This entry was posted in Apple on December 23, 2007 by bill.